Home > Blog > Time to Get Ready for Winter… Once Again! With 2018 winter soon upon us again in Southern Alberta, time to make sure that your FURNACE IS RUNNING SMOOTHLY. Change out your Furnace Filters… the Smoke this year was Terrible! Test the heating system by turning up the Thermostat and check that the Furnace “clicks on” straight away! 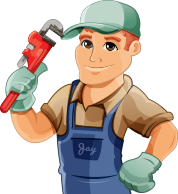 Any long delays in the system firing are Certain signs that your Furnace needs a Service! We can HELP OUT with a Service Maintenance Visit! Safety TIP: time to check your Carbon Monoxide Detector is Working and your Smoke Detector too! Outside TIP: turn off the exterior taps!! Winter freeze/ thaw cycle can cause lines problems… turn them off and save the headache!